Happy Mother's Day, everyone! The season when you express your love and gratitude to your Mother is here! Why don't you prepare a small but thoughtful and special gift for your mother on this Mother's Day? 365 In Love/ 365 Printing Inc offers the cutest and funniest mom daughter matching canvas bags that are uniquely designed and printed in California, USA. Our cute sturdy canvas bags will be a great way to make your mom feel special and make this Mother's Day unforgettable. Our canvas bags come with style, versatility and practicality�You and your mother can bring it to groceries, gym, beach, picnic and other causal settings. 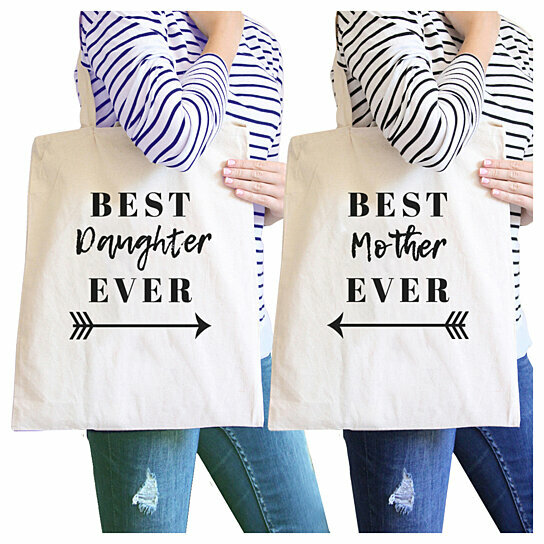 Not only that, these canvas tote bags can be a perfect gift for moms' birthday, grandmother's birthday and even Christmas. Show your appreciation to your loving and devoted mother with our cute gifts and put a smile on her face�Start Shopping Now!